Daring, bold, dramatic, towering, impossibly glamorous: this is how we imagine New York in its golden age, and this is how Samuel H. Gottscho, the preeminent architectural photographer of his generation, captured it. Through his lens, New York of the 1930s became the quintessential modern metropolis, a round-the-clock city in which night was as charismatic as day. 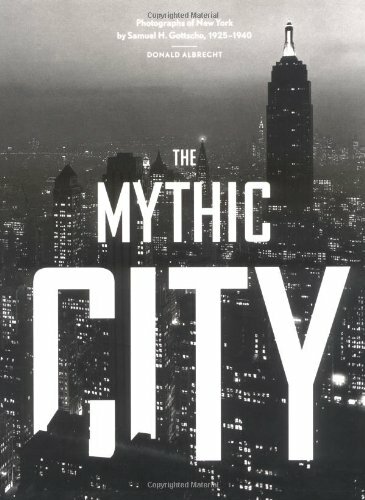 Rigorously editing out the Depression-weary city's more seamy aspects—its tenement slums, breadlines, and soup kitchens—Gottscho presented a dreamlike Gotham of skyscrapers and penthouse luxury that literally and figuratively glowed with glamour's sheen. His gimlet eye focused on the bold interplay of sun and shadow, dramatizing the chiseled forms of Manhattan's signature skyline and bridges. The Empire State and Chrysler buildings, Rockefeller Center, the Plaza, the George Washington Bridge—Gottscho brought them all to sparkling life. In this beautifully produced, landmark book, historian Donald Albrecht presents 175 of Gottscho's extraordinary images of the city, from the Battery to Harlem. An intro-ductory essay tells the story of this legendary photographer, describing his working methods and philosophy, while placing his work in the broader context of photographic history. Donald Albrecht is an adjunct curator of architecture and design at the Museum of the City of New York. He also serves as adjunct professor for the Masters Program in the Decorative Arts at the Cooper-Hewitt, National Design Museum in New York.